Goodgear have everything you need for your running event from printed uniforms including running tees and singlets, branded promotional products for your running event merchandise store including water bottles, lanyards and wristbands, to printed flags and banners to promote your running event before the event and on the day. 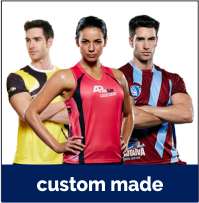 We also have a custom design service where we can supply custom designed shirts, running numbered race bibs and custom made finishers award medals. Goodgear have previously supplied printed running t-shirts that are sold as merchandise and running singlets printed with your logo and given to each runner at registration. We can also supply hoodies printed with your logo, shorts branded with your logo, printed activewear or custom designed uniforms for your running festival merchandise shop. We also have a large range of promotional products available, that we can print, laser engrave or embroider for your running event. Our popular branded promotional products include water bottles printed with your logo, reusable tote bags with your running logo printed, reusable eco friendly coffee cups and travel mugs branded with your logo and graphics, printed silicone wristbands, printed coloured stickers with your running logo, backpacks printed with your logo, sweatbands with your logo branded and caps and visors branded with your running event logo. We also supply runner finishers medals. We custom design your finishers medals in your choice of colour, our popular colours include Gold, Silver and Bronze and we can have your running event logo, name and graphics on one or two sides! You tell us what you want, and we will do the rest! Contact Goodgear today for a free quote on runner finisher medals. We can also supply a printed lanyard with the medals attached, ready to be placed around your finishers. If you are looking for running race bibs, printed with individual numbers, your running event logo, and graphics, look no further. Contact Goodgear today for a free quote on custom designed and made numbered race bibs for runners. Goodgear have a range of printed feather flags, full colour printed outdoor vinyl banners, pull up banners and full colour street sign banners that you can use to promote your event. Goodgear supplies printed uniforms and branded merchandise promotional products for fun runs and running events across the Central Coast, Lake Macquarie District, Newcastle and Sydney regions. We also supply uniforms and promotional products to many businesses, schools, sport clubs and Aboriginal organisations. Click here to see our running festival special offer flyer.